A new partnership with still and sparkling water cooler Lavit and EBOOST brings you an effervescent blend of acai and pomegranate. Many of you are already familiar with EBOOST’s Super Powder, the mind and body energizer, is a low-calorie sugar-free powder that contains vitamins, electrolytes, antioxidants, nootropics, and natural caffeine to support a lifted mood and maximize focus. It was created to energize, replenish and feed one’s well-being. 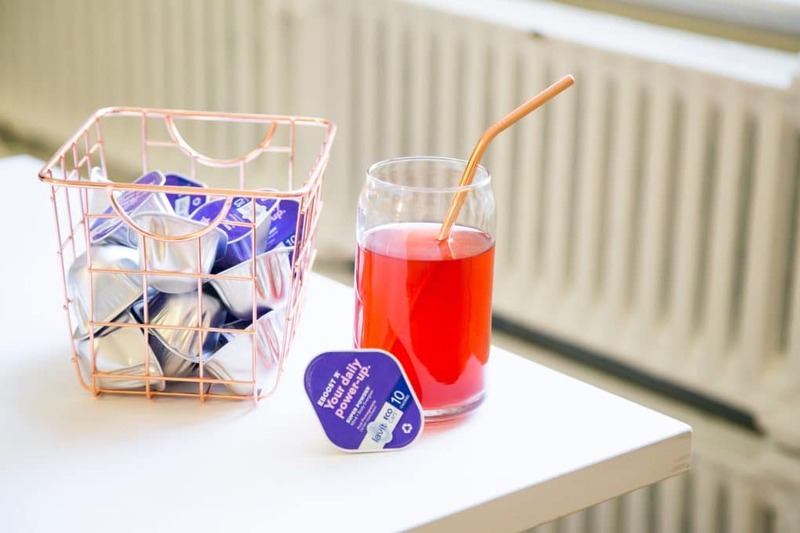 Starting in February 2019, the acai and pomegranate blend is available in Lavit’s 100 percent recyclable EcoCaps. EcoCaps feature just one-seventh of the aluminum of a 12 oz. can. This beverage system helps personalize the way people stay hydrated, all at the touch of a button. Current Lavit users can start enjoying EBOOST’s Acai and Pomegranate flavor by ordering from their local distributor. To request further information on Lavit’s products or to request a free trial of Lavit in your office, visit their website. For people who strive to do more every day, EBOOST provides clean performance products that increase energy, focus, and all-around well-being. EBOOST is changing the way people energize, replenish and feed their well-being with a line of clean dietary supplements that includes pre-workout, daily vitamins, and energy, greens and protein to name a few. All EBOOST products are non-GMO, gluten and soy free, contain no artificial flavors, colors or sweeteners, are low in sugar, and made with high-quality ingredients. For more information, please visit eboost.com and follow EBOOST on social media on Facebook, Twitter, and Instagram. Press Release announced by BevNet.